We are now converting Intercomp scales over to our system. Prices above are for kits of 25,000lb or less cell configuration and calibration, higher weight unit conversions will be additional cost. Here is an older Intercomp scale with digital load cells to be converted. If you have one of these, continue down on this page to see what it will be turned into. Tired of you old indicator? Screen going away and has black spots? Tired of that printer? We now have a solution for you! Old and new Intercomp cell problems? Old Intercomp digital chip set on the left. Our new wireless chip set on the right. Small, less components, more powerful signal, more reliable. Here is the Intercomp digital load cell converted over to your wireless system, no more wires! Here is what your new conversion will look like. Less weight, smaller size, and the laptop is under the wireless modules. HH2400 Series hand held indicator. 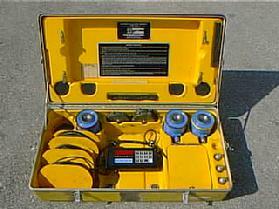 Our wireless conversions are based on our HH2400 hand held indicator included with full NIST traceable calibration. We also have our M2400 series laptop computer read out as an upgrade option for true computer read out with MAP mode and graphic print out features for $750.00 cost as an option. Vishay? Revere? Road Runner? Yes, we convert them all. 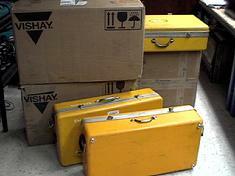 Vishay and old Revere kits converted to our M2000 digital system. As you can see we convert several at a time and have done hundreds of conversions. 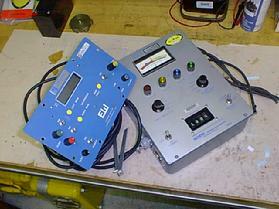 We can convert your old Evergreen and Road Runner kits to new digital indication. Our conversions include a new power supply and digital indicator. 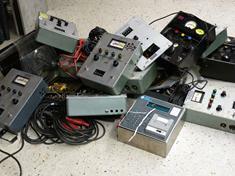 We use all of your old cables and boxes or can supply you with new. Conversion prices include calibration. Old indicator does not function or pass calibration? Our new 4 channel wireless scale conversion is available for aircraft and helicopter scale systems. This conversion starts at $3,995.00 1/3rd the cost of new, running our wireless system, unit includes a new laptop computer and USB antenna, software pre loaded. We do a lot of conversion work and have converted hundreds of old Revere kits. We have new cells and can completely service your older Revere or Vishay kits. Old Revere kits converted. Tubes blown? Revere charges cost too much for repair? Needle sticky? Will not pass calibration? 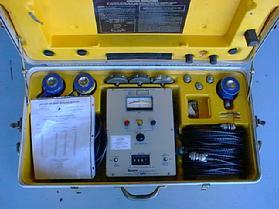 We can convert your old kit to a digital indicator with complete calibration. 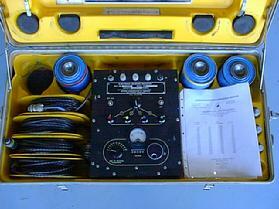 Older Revere kits aircraft scale kits are our specialty! 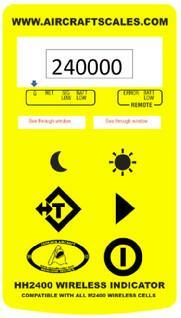 Convert yours like this example, we can convert your kit into our new digital format three channel indicator. $2495.00 complete with NIST traceable calibration. Same kit now converted for far less $$$ than Revere charges for their conversion and calibration package.